Interview with Francis Bitonti, 3D Print Fashion Designer #WearableWednesday « Adafruit Industries – Makers, hackers, artists, designers and engineers! 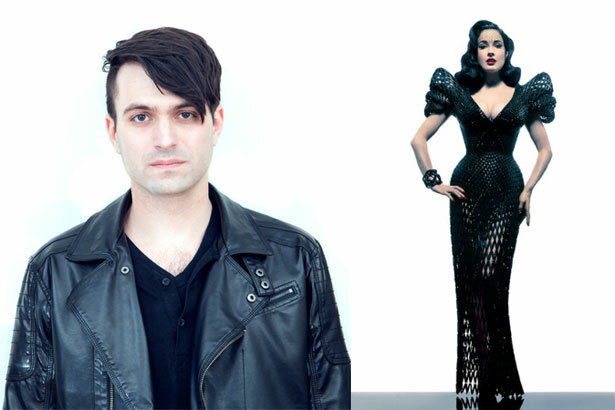 Francis Bitonti is famous for his 3D printed fashion, like the dress worn by Dita Von Teese above. 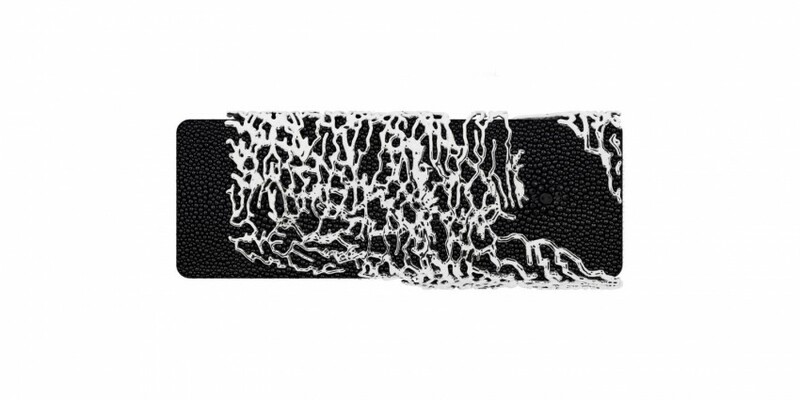 We’ve shared his work in the past, including the Bristle Dress on our blog. The Fashion Spot just interviewed this fashion tech genius and I wanted to share some of the most interesting points about his work — especially his view on design. Bitonti’s past includes writing, visual arts and graphic arts. He considers his voice unique, having explored so many areas. There are not many people who work the way that I do and have the perspective that I do. I approach materials by thinking about them through digital media. I think about physical things more like a filmmaker than a designer; it’s about how they unfold in time. It’s more about pixels than plastics or fabrics. This led me to 3D printing. I needed a link to the physical through the digital. Most people think about career change as transitioning. Bitonti is more holistic in his view of shifting skills. I always considered myself a designer; a designer doesn’t need to worry about what discipline they work in. You see the world in your own particular way. You have a certain view of people and the way the world works; a designer puts physical things into the world that manipulates flows of materials and commerce. I never had to transition into anything, if it’s a dress or a building, I hope to do both in my life. I use matter to structure people’s lives. The things we make are the fingerprint of culture, and designers make culture. 3D printing really touches on a larger shift in perspective to DIY and makers/collaborators. It’s interesting to think about this shift in terms of consumerism. I am now offering a definition of materiality that can be formed in the cloud. Materials now can be formed in digital environments by social media. It’s about brands no longer having customers, but users. Brands need to think like [the] software business now. It’s about creating new co-creation experiences. People don’t want to be given a lifestyle, they want to participate. It’s about consumption becoming production. This idea of the consumer participating seems to be a strong point in Bitonti’s discussion. He sees algorithms as being vital in the process, both in the 3D design, as well as the business model. We think through algorithms because they are flexible, adaptable and intelligent. Our brand, when we are done building it, will be an artificial intelligence people will cooperate with in daily life. Finally, my favorite part is his encouraging words about sincerity. This is what you want to walk away with. I always tell students the most important thing they can do in life is be sincere. If you follow every desire and everything you are interested in, you will create something that is as unique as you. There was no idea to come up with and no technique to master — my career is a product of being me. Something everyone knows how to do if they let themselves. If you love 3D design, make sure to check out our blog for special posts on #3DThursday. You can also try a wearable of your own like these Cyberpunk Spikes. Start inventing fashion that is uniquely yours and then share it on Thingiverse or Github.